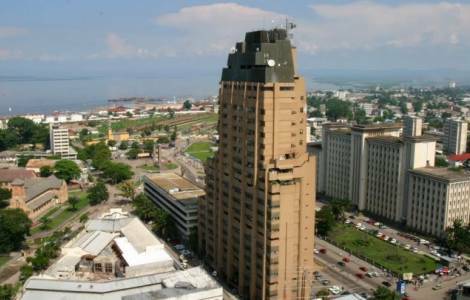 AFRICA/DR CONGO - The Bishops' alarm: "May the elections in the DRC be credible or they risk inflaming the Great Lakes region"
Kinshasa (Agenzia Fides) - "We are worried about the state of the electoral process in our Country", stated in an appeal sent to the President of Zambia, Edgard Lungu, in his capacity as President of the SADC Troika on Politics, Security and Defense, signed in the name of the Congolese Bishops by His Exc. Mgr. Marcel Utembi Tapa, Archbishop of Kisangani and President of CENCO (Congolese National Episcopal Conference), and by His Exc. Mgr. Fridolin Ambongo, Coadjutor Archbishop of Kinshasa and Vice President of CENCO. The Southern African Development Community (SADC) to which 15 States belong (Angola, Botswana, Democratic Republic of the Congo, Lesotho, Madagascar, Malawi, Mauritius, Mozambique, Namibia, Seychelles, South Africa, Swaziland, Tanzania, Zambia, Zimbabwe) has been in charge of "accompanying the electoral process and the search for peace in the DRC" (see Fides 2/2/2018). The Congolese Bishops reaffirm their concerns at the UN Security Council at the end of August, on the state of the electoral process in the Democratic Republic of the Congo, in view of the presidential and political elections scheduled for December 23rd (see Fides 29/8/2018). While acknowledging that positive steps have been taken to prepare the vote (electoral list verified, respect for key dates in the electoral calendar, publication of provisional lists of candidates for local and national deputies and presidential candidates, appointment of the candidate for the Joint Front for Congo, the electoral platform of the President of the Republic in office, progressive funding of the electoral process by the Congolese government), the Bishops emphasize the existence of fundamental issues to be solved, such as the situation of millions of voters registered on the electoral roll without fingerprints, the lack of consensus on the use of electronic voting machines, the lack of release of political prisoners and the exclusion of some candidates from the electoral process such as former Governor of Katanga Moïse Katumbi, in addition to the serious conditions of insecurity in the east of the Country .